The perfect ingredients for the Big Half last weekend. Up until lunchtime the day before it was touch and go whether London’s new half marathon would be snowed off or not. Thankfully the race went ahead. So what’s with this knight business? Just as the miles began to hurt, Sir Number One streaks past in the opposite direction. 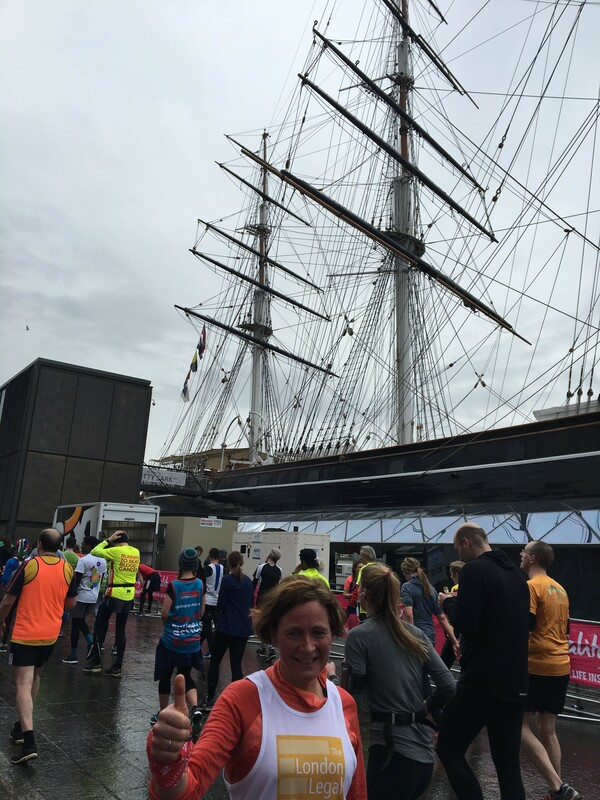 Yes, Sir Mo Farah was ahead of me – only by an hour! A few miles on and I’m flanked by a sea of t-shirts, ‘Bowel cancer’s tough. I’m tougher, ‘ ‘Mum, I’m doing this for you’ and of course the obligatory unicorn. As we slog on through trendy Limehouse, bulging with gastro coffee shops, knight in shining armour, Sir Number Two came to our rescue. Double take – OMG it’s Sir Ian….Sir Ian McKellen leaning out of his first floor window cheering us on. Respect. He was sporting a Sunday bedhead look. We, the lycra crowd couldn’t quite believe our eyes. It really is Gandolph! Mile nine, everything hurting, the energy bar not quite cutting it. Then a sudden surge of wild cheers, ‘Mat, Mat .Go!’ I wasn’t sure why ‘Mat’ was getting all the attention. Best to be direct, no time to waste. I ask, ‘Are you famous or something?’ ‘For about a week or so I was. I was on Bake Off.’ ‘Oh sorry, I don’t watch Bake-Off.’ Hmm. With hindsight perhaps some slick media trained deflection might have been better. Never mind. Didn’t seem to faze the TV chef. All 6’7 ish of him and all 5’2 of me strode companionably together for half a mile or so. Not a cake in sight. Though by now quite a few soggy bottoms. Mat Riley (yup, course I looked him up later- in 2015 Bake off, firefighter) moved ahead. So I finished. 13 .1 miles is a long way. A blood blister to prove it, aches in muscles I forgot I had. 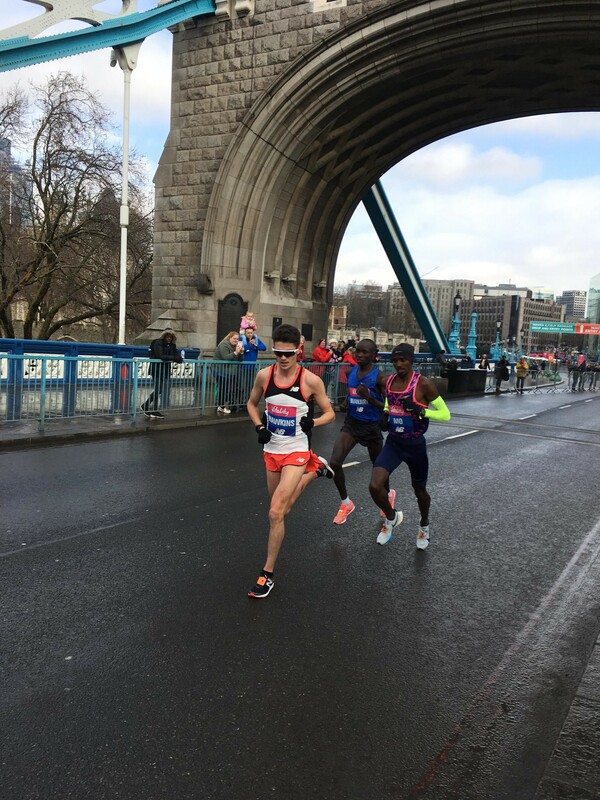 Thank you to all of you who sponsored me to run on behalf of the London Legal Support Trust who I came to know and respect through my media work with legal aid lawyers. Like running, their work and projects they support is mostly unglamorous and unchampioned publicly. Those who dug deep -colleagues, friends and family – several of you including my mum are lawyers knowing the importance of legal advice in a crisis. But most of you aren’t lawyers. You just get why anyone and everyone, whatever their status or income, must have access to justice. Whether it’s a tenant in a fix with a private landlord, an asylum seeker with mental health problems needing to understand their rights or a family who lived in Grenfell Tower. At times of crisis, free legal advice matters as much as a doctor. You all got that. And you gave. THANK YOU VERY MUCH. My running total is £900. The justgiving page will stay open until for a few more weeks. …… Never too late! #justsaying. I’m touched by your reference to me.